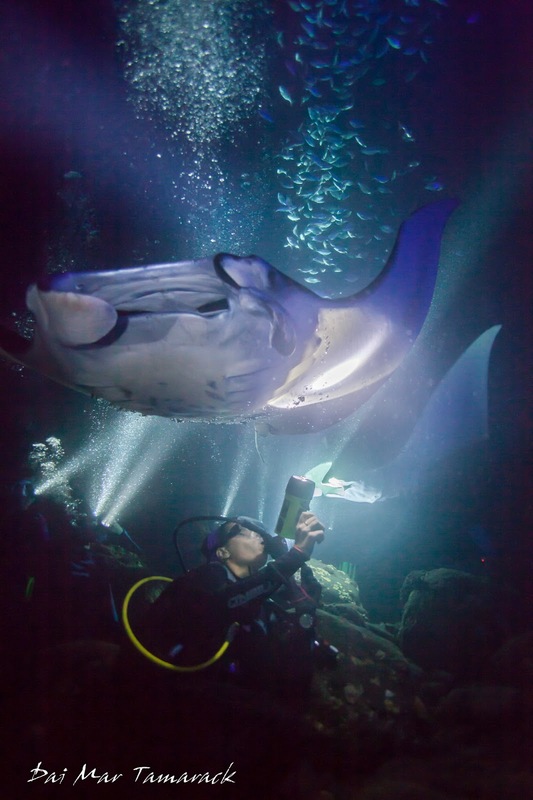 Now known as the "#1 Night Dive in the world", the Manta Ray Night Dive in Kona, Hawaii is something not to be missed. 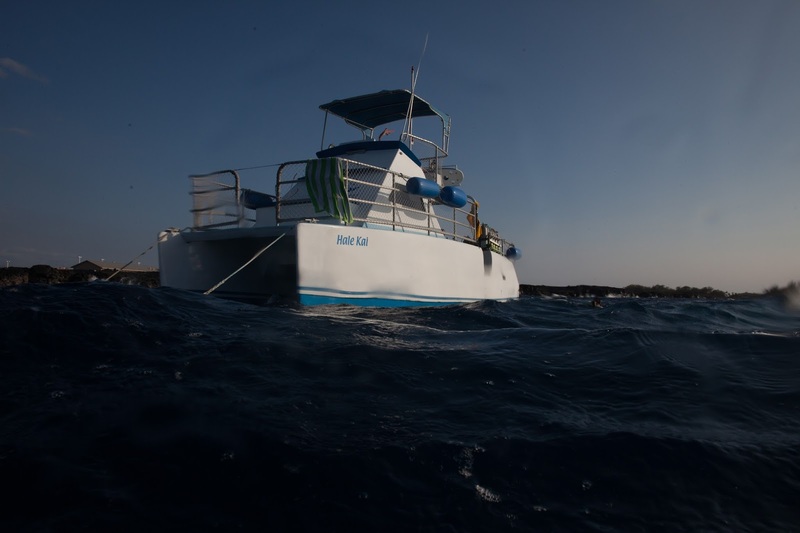 It can be done as a snorkel if you are not a certified diver, or as one of the most spectacular scuba dives anywhere on Earth. I take people snorkeling here once a week and I still can't get enough. 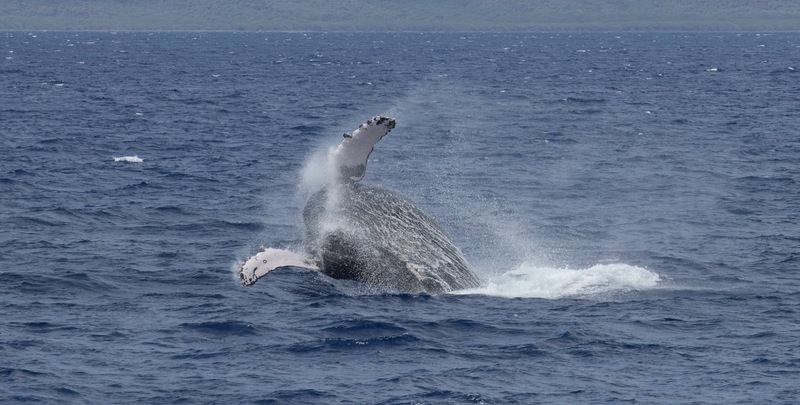 In fact, this dive is one of the first things I looked forward to doing after getting off the boat. It is right up there with grabbing a cold beer (no drinking on the boat), and having a good surf session. People often can't believe that all I want to do after leading people through the Hawaiian Islands for work is to get back in the water. 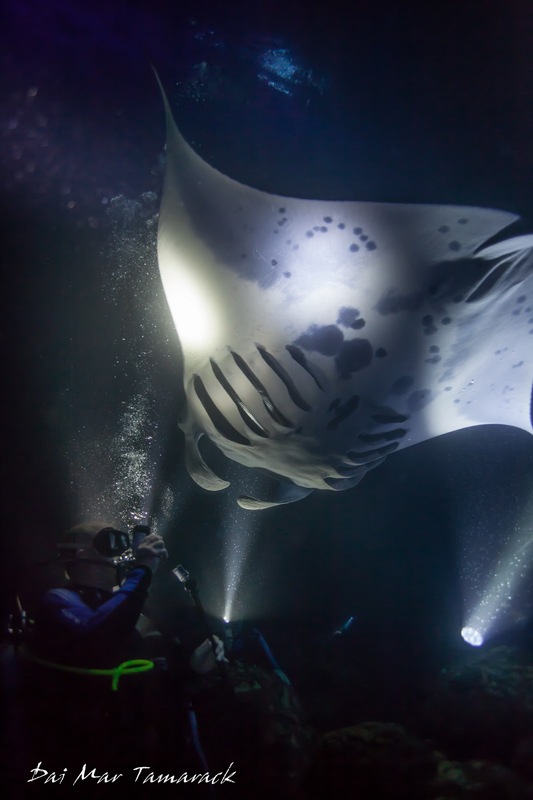 The crazy thing about this manta dive is that there is no pattern to let you know when there will be lots of manta rays or when there will be none. It doesn't seem to matter about moon phase, current, waves, wind, or any other factor. 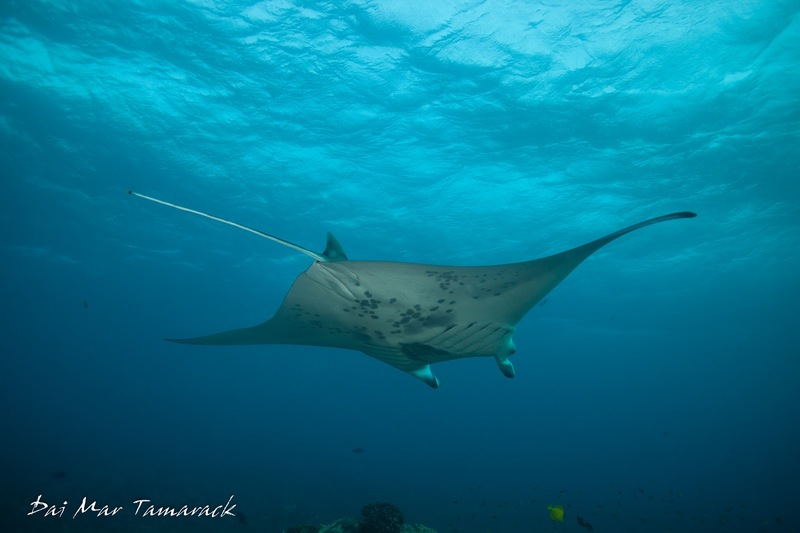 They average about six mantas a night but I've seen anywhere from 14 down to 1. This time Heidi and I went for a two tank dive, one before sunset and one after. The dive site is called Garden Eel Cove because of the thousands of shy garden eels about 50 feet down on the sandy slope. We searched the reef on the first dive for signs of the elusive leaf scorpionfish and frogfish, managed to find a black-phase long nose butterflyfish, but were mostly interested in the groups of mantas swimming overhead up near the surface. 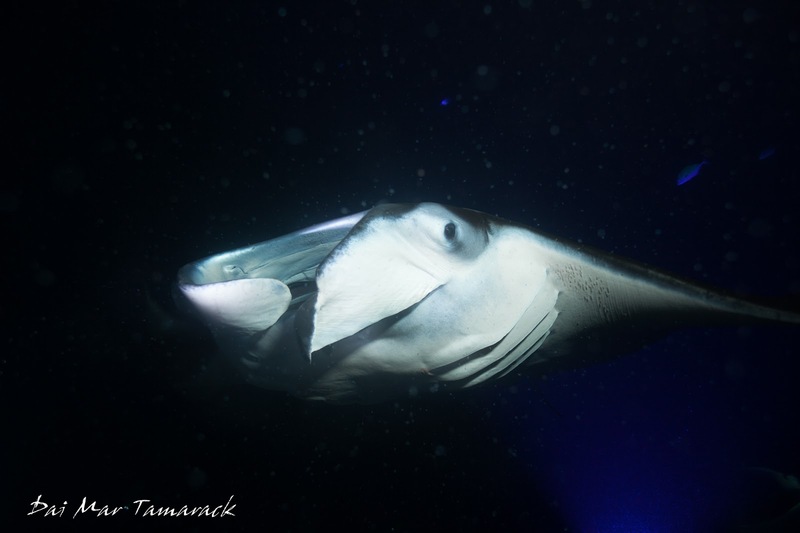 I knew from experience that if you see mantas on the early dive then that is usually a good sign for the manta ray night dive later. And it was! The heavy winds kept most of the other boats away, but one of the great things about scuba diving is that there is no wind under water! 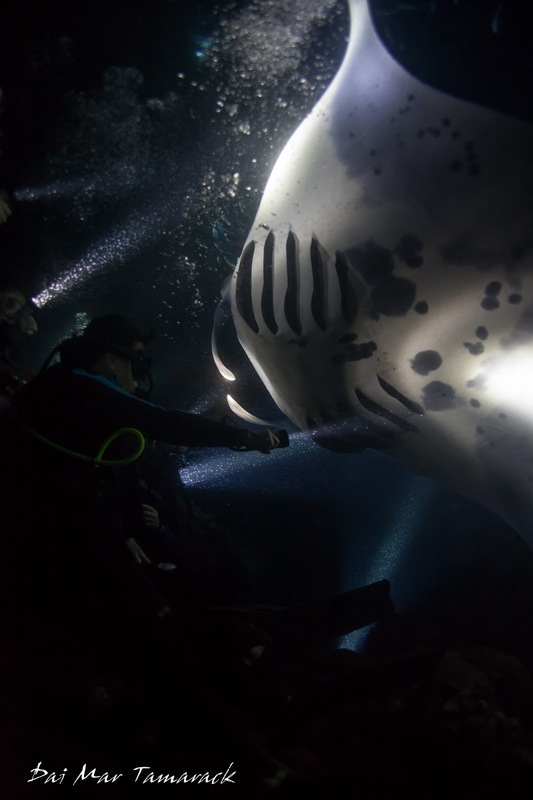 Our dive master dropped a huge underwater light at the end of our first dive to act as the center of our manta watching 'campfire.' 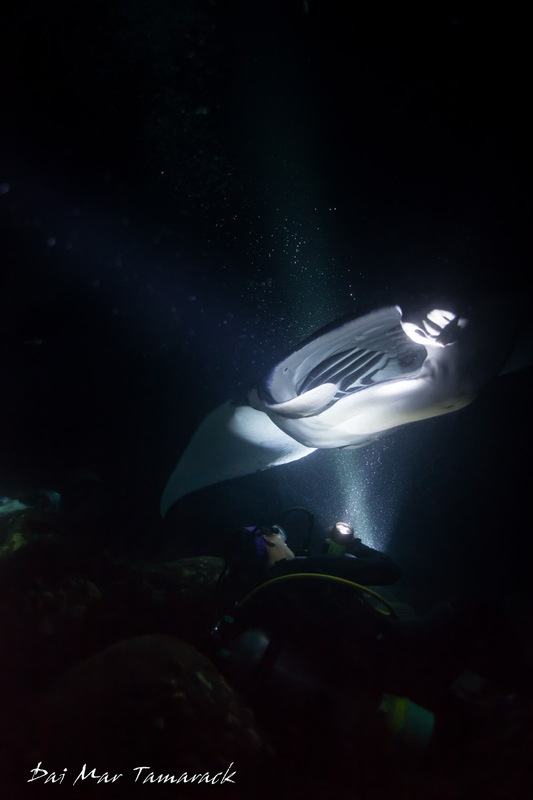 As we readied our gear to jump in for our night manta dive we could see the light flickering on and off. What this really meant was that a huge manta, or mantas, were swimming over the light blacking it out. It was going to be a good night. 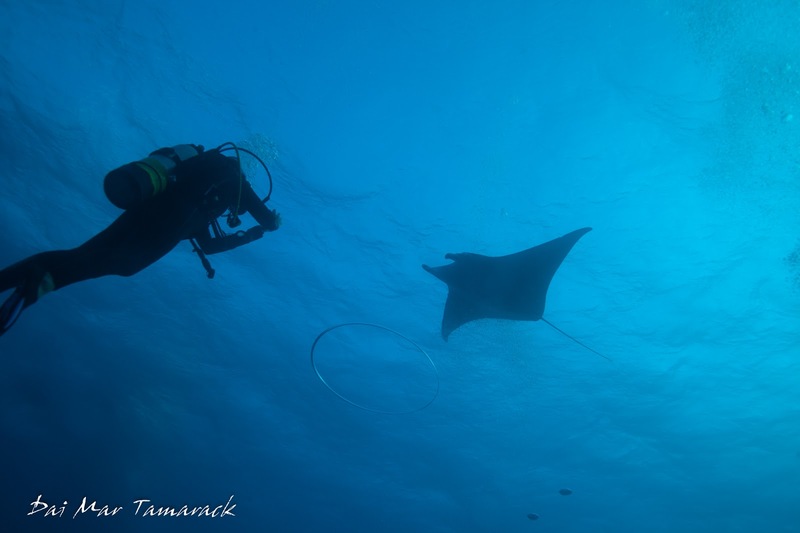 We could see mantas down near the campfire as we descended. I was very excited and very eager to try once again to take pictures of the dive experience. This is one of the most difficult places to try and take photos. 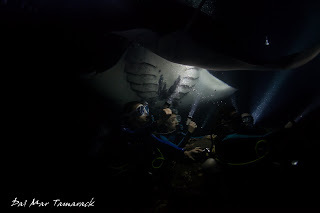 There is very little light except from the flashlights, the mantas are constantly moving, and to make things even more difficult the mantas undersides are bright white while the topside is jet black. 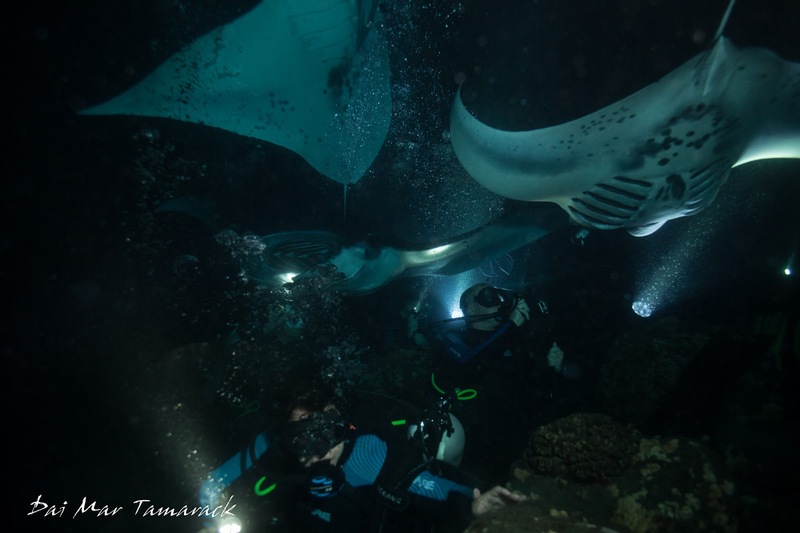 I experimented with adding light by using my underwater strobe, but the same plankton that lure the manta rays here also reflect back the light causing little white lights all over the picture. Then I tried turning off the strobe and bumping up my ISO to 800. This is about as high as I usually go with my ISO because it makes the picture too grainy or noisy. But it was still too dark, so I bumped it up to 1250 ISO which is where most of these came from. I really enjoy a good wildlife photography challenge and this is one of the best. Usually I just tell people to switch to video, sit back, and enjoy the show. 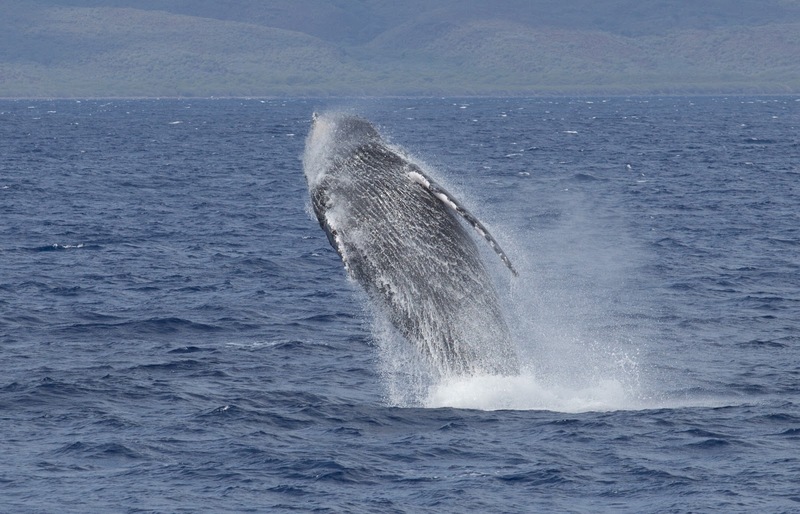 This season working amongst the Hawaiian Islands has culminated in some incredible whale watching this past week. I was able to see almost every activity in the book including repetitive breaching, competition pods, and even a mother teaching a young calf. 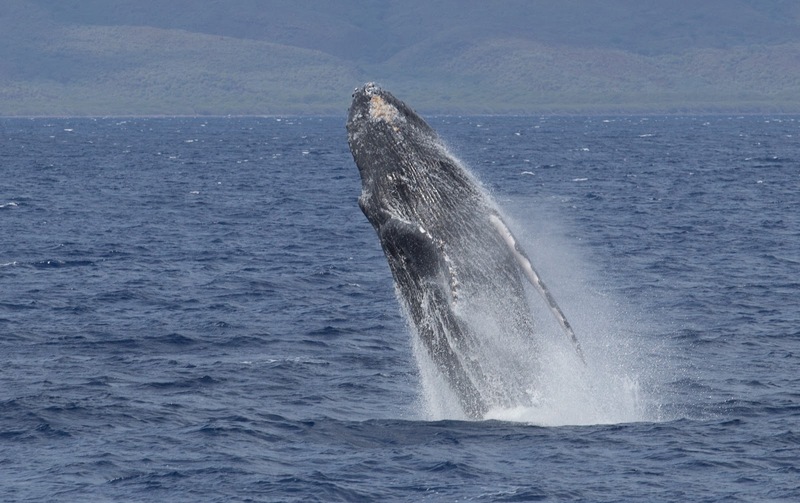 It is nice being on a bigger boat so when the typical trade winds kick up the whale watching doesn't have to stop. 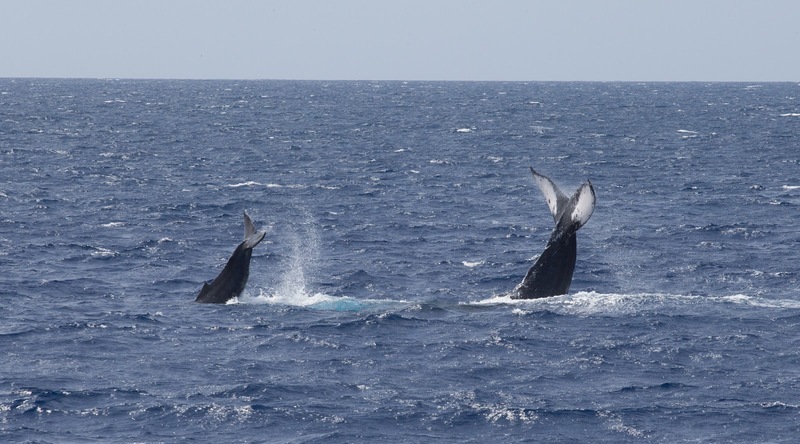 It almost always seems that the whales get a little more playful in the windy white caps. It certainly was like that on this day. This was right before three solid days of gale force winds descended upon the islands. Good thing we got this in when we did. 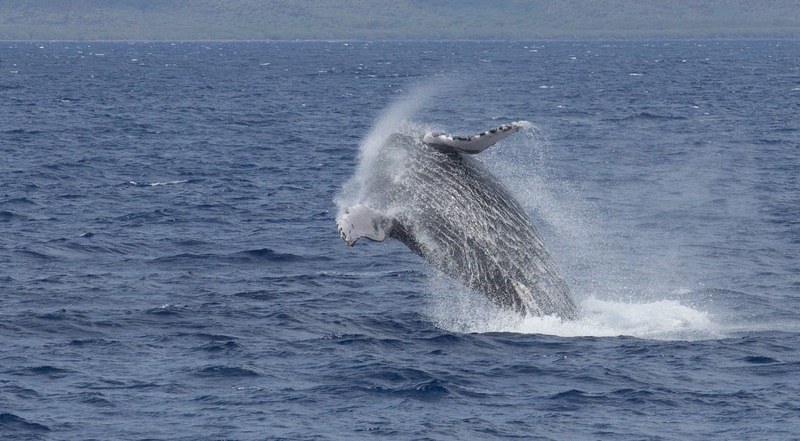 This once again proves to me that so far Maui in Feb-March is the funnest whale watching in the world. 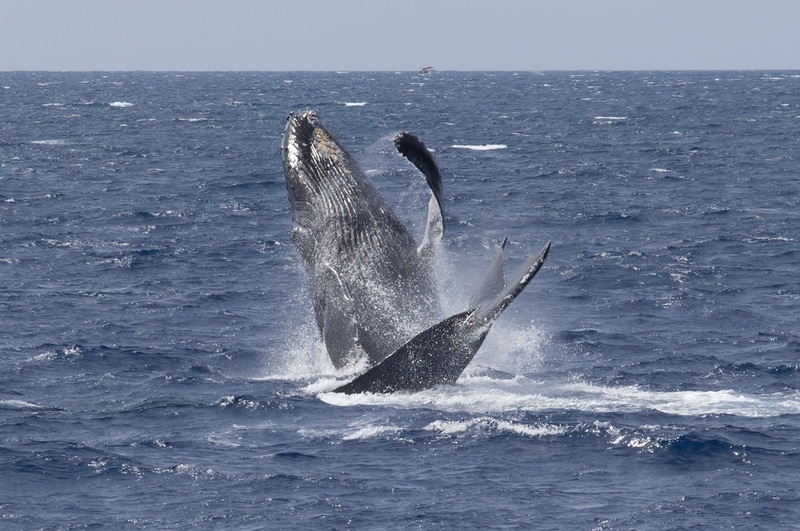 These humpbacks are just so acrobatic it is something not to be missed.